We arrived Thursday afternoon, giving us plenty of time to set up camp and attempt a good nights sleep all ready for the main event starting the next day. As we're non drivers, it was public transport all the way. The train journey was fairly easy, two changes from Cheltenham to Wool, but everything ran smoothly and once we arrived in Wool there was none of the chaos of arriving at a train station full of festival traffic we were expecting. We joined another group of 3 and shared a taxi to the site. The journey was reasonably quick, the cab driver happily stopped at a shop for us and the fare wasn't too bad once it was split. As we arrived at the taxi drop off rather than the main car park I expect our experience of arrival was probably quite different to others who did come by car. 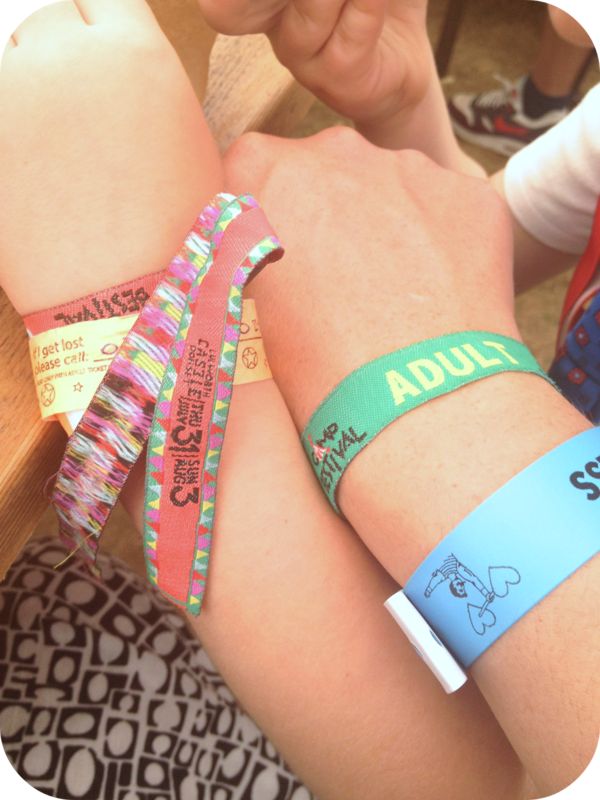 It was super quiet and easy to get our wristbands sorted, the stewards were all really helpful and happy to give us directions as to where we needed to go. I found the whole atmosphere strangely relaxed really, compared to other festivals where arrivals seem so hectic and confusing and queues so long. Relaxed and easy going is really what you need when you've travelled far with children, luggage and are about to test the limits of your relationship with your other half whilst setting up camp. The entrance from the taxi drop off to the campsite took you through the main arena, which was lovely as although most of it was cordoned off you could a get a good look of the area and where everything would be, thus creating much excitement in the little one. It was quite a bit of a walk, but as you came onto the campsite directly from the arena, this was great for me, who was keen to camp as close to the entrance as possible. Cutting down on the amount of walking a 33 week pregnant lady needs to do is always beneficial. After much deliberation we found what I think was pretty much a perfect spot for us, about halfway between the arena entrance and the closest toilets. We choose a spot on the main thoroughfare, but as it was quite a short strip it was never too busy or noisy. As we only had a 2 man tent already in our possession (which did us fine last year, but we're all a little bigger this year) we decided to purchase a brand new four man tent. The only problem was, as is fairly common place for us, we left this until the very last minute, giving us absolutely no time to have a practice run at tent erection. It took us a while to set up, I won't lie, but mostly we were nice to each other and didn't have any huge arguments about the problems we experienced with the, seemingly impossible, task of getting the tent poles to fit in the pegs. I did think we probably looked, rightly so, like fairly incompetent, inexperienced campers, especially considering most of the others camped around us seemed to set up huge palaces out of nowhere in half the time it took us to set up our measly two room tent. We also purchased a couple of self inflating mattresses, after we borrowed some and found them perfect for transporting and using last time we camped. I took the smallest pillows I could find in our collection, a fleece blanket and sleeping bags for all of us. Milo decided he wanted to sleep in a room on his own, so I used the towels we took, along with the blanket under his sleeping bag to create a cosyish spot for him to sleep on As a boy who tends to move from bed to floor to sleep every night at home, he seemed perfectly happy with this arrangement. Like I already said, we are not super experienced or especially organised campers, so for us preparing food and the like was limited to boiled water. I took pot noodles, cup-a-soups, coffee, along with apples, raisins, biscuits and cereal bars. This worked for us and to be honest the range and quality of food available across the festival was spectacular and we ended up bringing home all the pot noodles and the cup-a-soups! I was surprised and pleased to find so much going on, on the Thursday night as I knew the festival didn't officially begin until the next day. The Soul Park and the Upper Magic Meadow were open and we were free to roam around quite a lot of the site. There were lots of places to eat and even some boogieing to be done in the Matua Bar. 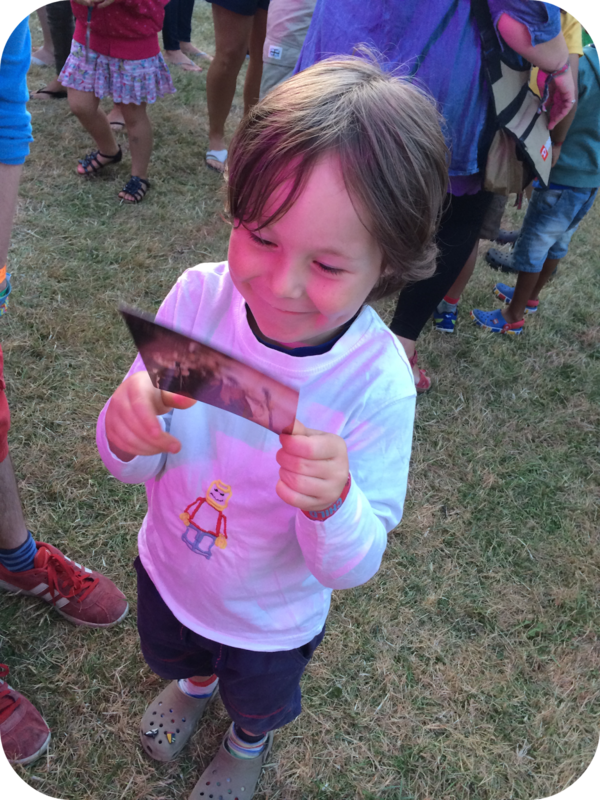 Milo absolutely adored DJ Dapper Dan the Rock n Roll Town Crier, as did we. One thing I wasn't all that impressed by were the toilets on the campsite. I appreciate that festival toilets don't generally have a great reputation and I've definitely seen worse, but as a festival so heavily aimed at families I do think perhaps a little more could have been done to keep them more pleasant. I only witnessed the toilets near us being cleaned once, they may have been cleaned more than this, but it was such a noticeable improvement when they were that I think I would have noticed had this been the case. There was almost never any toilet paper in the toilets both on the campsite and throughout the arena and after the first day the hand sanitiser was all gone and not replenished once. Fortunately we took plenty of toilet rolls and hand sanitiser with us so were generally OK and Milo isn't too squeamish about yucky toilets, so we survived but it could definitely be improved. The compost loos around the arena I found to be much better and maybe having these on the campsite would be a nice touch. We also found we very rarely had to queue and when we did there was only ever a couple of people in front of us, so it certainly seemed as though enough toilets were provided. It took us a couple of days to find the showers, so we only used them once the whole weekend, but when we did I was really impressed. Provided by these guys, we choose to go up mid afternoon, so we barely had to queue at all and found them clean enough. They were even stewarded by two guys who squeegeed them out after every use. I was really impressed, the best festival showers I have yet to use. I was surprised by how loud and how late the music went on until as it's such a family orientated event. Milo was so tired by the time he made it to bed each night it made no difference to him, but I wish I had remembered to get ear plugs for myself as I found myself waking up a lot through the night. 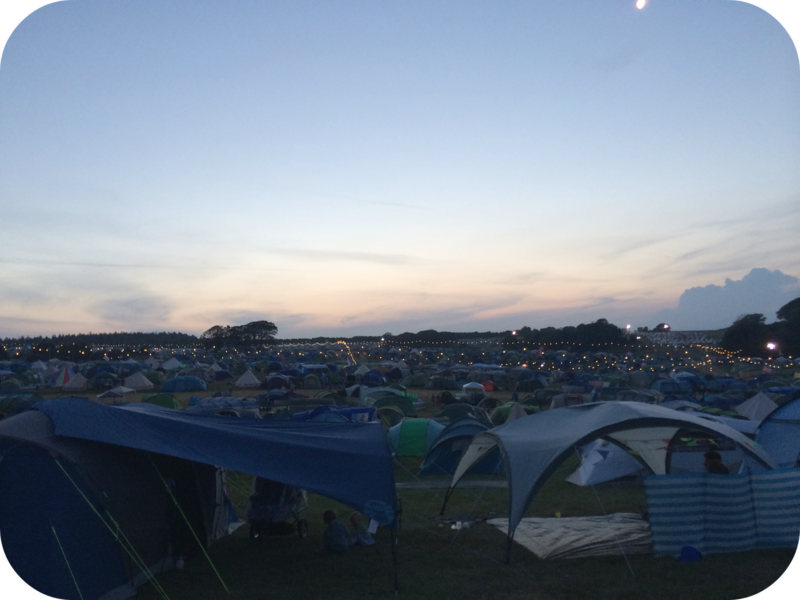 However once the arena closed up for the night the campsite was surprisingly quiet, I expect this was due to there being so many families and not so many drunken antics! It was even fairly quiet until quite late in the morning, I would say most mornings I barely heard any others until around 8am, which was great. Overall the camping experience was pretty great, the food stands were all open by the time we got up and there was some good coffee to be found pretty close by. We were really pleased to be as close to the arena as we were, meaning we could nip back to the tent with ease throughout the day and the general atmosphere was pretty nice and friendly. Packing up on Monday morning was easy enough, we trekked back through the site to the taxi pick up, watching everything be dismantled as we did. Again the stewards were helpful and friendly, each one saying good morning as we passed. We got straight in a taxi, no waiting around at all, had a lovely taxi driver take us back to Wool station, where we serendipitously arrived to a reasonably quiet station 10 minutes before the next train to Southampton. Again we were so surprised at how easy and relaxed transport to and from the site from the train station was, really really unusual in my experience of public transport and festivals. I'll cover more of actual festival itself throughout this week and next, but I've written much more than I ever intended on the camping alone so I'll leave it there for now! 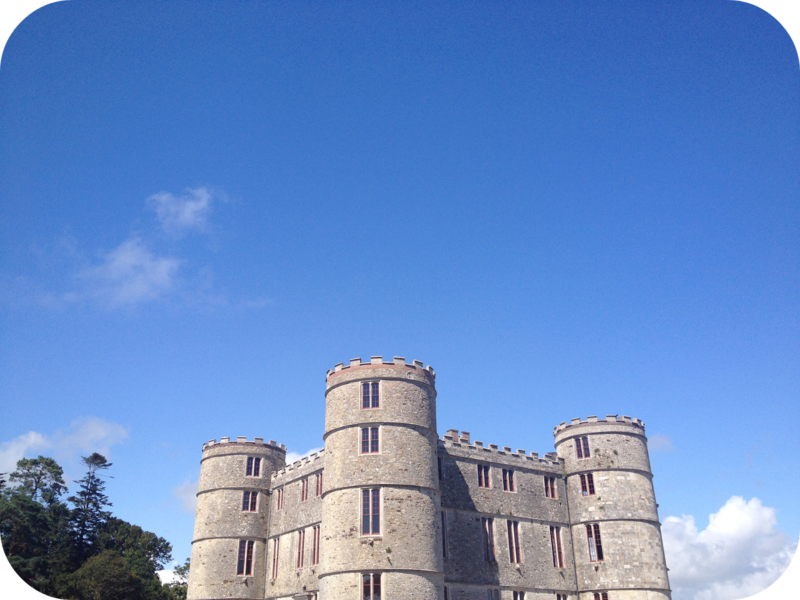 If you're interested in attending Camp Bestival next year early bird tickets go on sale Friday.